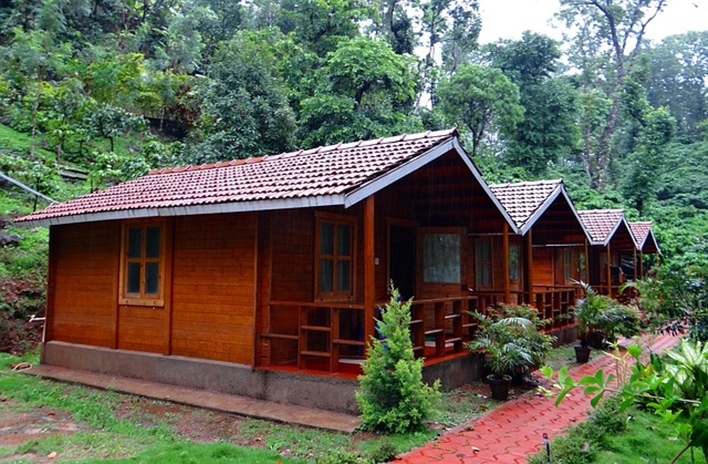 There are many fine resorts in Nagarhole that offers state-of-the-art facilities. Gone are the times when visits to the wildlife parks were just a day-long affair under the broad daylight. What thrill of the wild could you experience if not stay in the wild for one whole day and night? For one of the most exhilarating experiences of wildlife amid untamed wilderness in India, pack your bags for a weekend at Nagarhole. Nestled in the Nilgiri Mountains, around 96 kms away from the bustling city, Mysore, Nagarhole stands demure and bold in its silence and unchallenged natural beauty. The rolling hills, blue valleys kissed by the elusive clouds, lush green plantation of spices, and the whispers of the wild make Nagarhole one of the most sought-after getaways in Karnataka. Adding the essential icing on the cake, are a gamut of resorts sprawling in and around the vicinity. This is one of the most swashbuckling resorts in Nagarhole. A 5-Star deluxe property, The Kings Sanctuary is spread over 34-acres of landscaped garden and mango orchards along the northern fringes of the Nagarhole National Park. While taking utmost care of the comfort and luxury needs of the urban travellers, the resort also makes sure not to disrupt nature’s delicate balance in the area. This principle of the resort could be prominently seen in its décor, an example of true craftsmanship, using exclusively the available renewable resources like canes, fibers, etc. Bathrooms are designed around the unique open-to-sky concept. The resort is equally ideal for corporate stays, family outings and couple trips. Yet another eco-friendly resort situated on the fringes of the northern part of the Nagarhole National Park, the Jungle Inn is conspicuous of its greenness. It is strategically placed to offer the best of both the worlds of eco-tourism and wildlife adventure tourism. The resort likes to promote itself around the concept of “Living in Harmony with Nature”. The dining area of Jungle Inn is a treat for the nature lovers. One must walk through a small bamboo cave-like grove to finally enter Gudara, the resort’s fine-dine restaurant, and a perfect example of well-crafted cane architecture. Being one of the best resorts in Nagarhole, this one arranges a tribal dance show in the evenings around a campfire. Besides, the guests can also enjoy a wildlife documentary film played at the resort around the same time. Besides, Jungle Inn also offers leisure activities like coracle ride, bicycling and bird watching. If your appetite for greens and countryside is a tad more ambitious than usual, we suggest you to drive to Sundara Vana Farmhouse Stay for that quintessential pastoral experience. Set on 20 acres of private forest with sprawling growth of forest, fruits, trees and paddy crops in a year-around pleasant climate, Sundara Vana is the most befitting version of a farmhouse experience. The farmhouse, a wing of the Jungle Inn, is located only 6 kms by the side of Hunsur-Murkal- Nagarhole road, bringing together the experience of wildlife tourism around Nagarhole National Park, and the lush coffee plantations around Coorg. Besides, there’s also the provision to pitch 6 pop-up tents with double bed accommodation. A well-equipped kitchen at Sundara Vana Farmhouse Stay takes it upon its shoulders to serve traditional, home-style Mysore delicacies at its peaceful dining space. The guests desiring some leisure activities can opt for a game of badminton, carrom and cards, or indulge in an hour of bicycling. Evenings could be spent at peace around a campfire as well. Far from the city, there huddles a cluster of bright cottages on lush green pastures to let you relax, unwind and rejuvenate. The Green Valley Resort is located on the Kutta-Nagarhole Road near the Nagarhole National Park. Tucked away in an uncontaminated green plantation overlooking the valley, the resort provides an ideal time for those who are looking for a quiet spell away from the pressing demands and anxieties of daily life. Laze in the portico, or hide in your hammock with your favorite book or music, amid the healing sights and sounds of nature, and you shall go back home reenergized to handle everyday challenges once again. Rooms at the Green Valley Resort are hygienic and well-appointed. 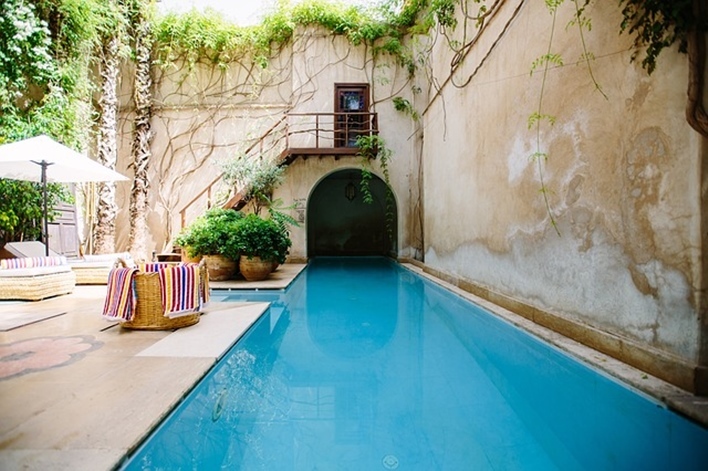 One can choose from rooms with twin beds accommodating two, four, five and eight people. Apart from the regular accommodation, the Green Valley Resort also pitches tents for its more adventurous guests. And one does not have to worry about food, for the kitchen staffs efficiently meet the customized demands of the guests, serving piping hot food always. Evenings could be written around a bonfire barbecuing your favorite delights. 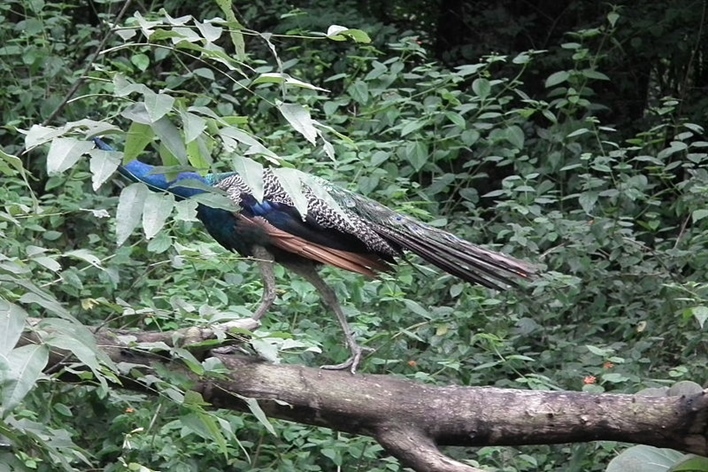 Do not miss on bird watching and star gazing at the resort either. And if you wish to let the blood gush in warm excitement, the resort is always eager to arrange trekking expeditions, river rafting and coffee walks as well. Serene, simple and sensuous – these three epithets describe Machaan Resort the best! Nuzzled amid a coffee plantation in Coorg, the Machaan Resort is only 15-minutes’ drive from the Nagarhole National Park, and less than a kilometer from the forests. The Machaan Resort proudly flaunts its evergreen, open plan dining area, overlooking the coffee estate from a height. The basic wooden setting surrounded by trees and coffee plantations makes for an inimitable dining experience. The buffet menu is designed innovatively around local cuisines for divergent palates. 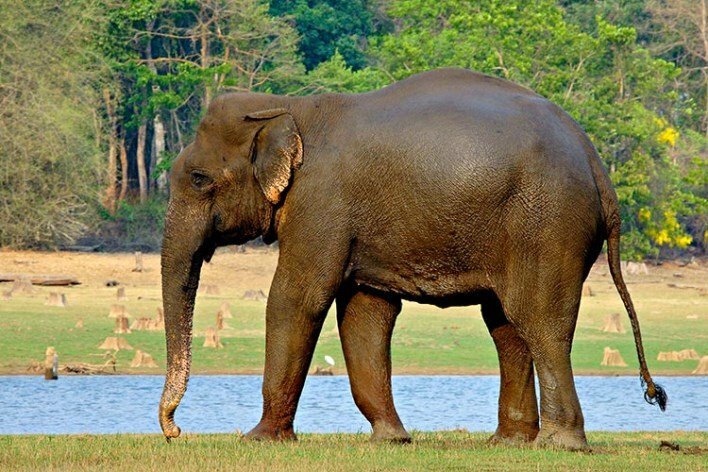 The resort can arrange wildlife safaris into the buffer zones of the Nagarhole National Park and the Wayanad Wildlife Sanctuary. Besides, the guests can take a leisure stroll around the coffee plantations, watching birds, go for jungle trekking, as well as indulge in angling, white water rafting and sight-seeing. The Base Camp Nagarhole is an ideal halt point for backpackers and wanderlusts looking to explore than to sit back in the comfort and luxury of a resort. Situated on 2 acres of green fields dotted with trees, this place is an ideal stop for those who are looking to experience the undiluted rugged life in the countryside without compromising on the basic amenities and quality food. Take a break on the day you reach the Base Camp, lazing around, watching birds and the pristine gifts of nature. In the evening, sit around the campfire playing your favorite tunes on the guitar over good food and liquor. 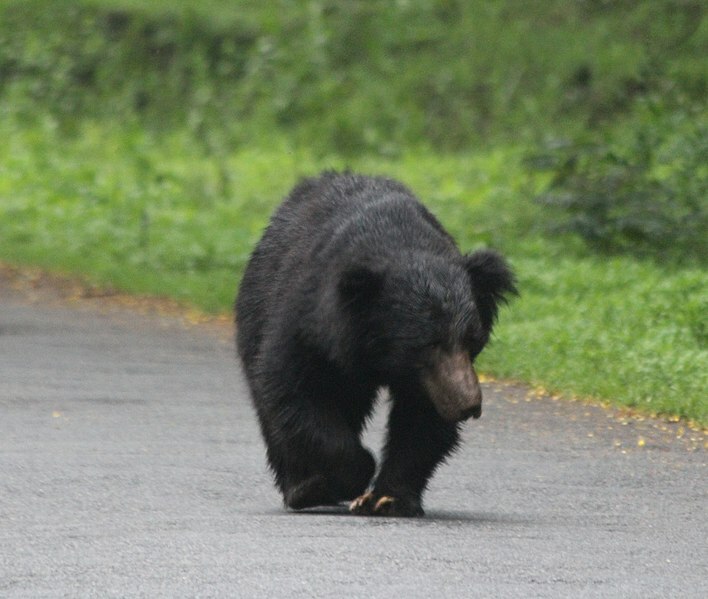 The following morning, the Base Camp shall guide you into a wildlife safari into the Nagarhole National Park. Drive through the coffee plantation as well as a visit to the magnificent Iruppu Falls are a must. After an activities-filled day, the warm and homely food at the Base Camp would surely usher in a sweet slumber for the night. Amid the undulating ridges, resonant valleys, crisscrossing streams, manicured coffee plantations and whispering jungles, there stands a concrete stay for tourists and travellers, the Stay Simply Bison Manor Resort. Conjoining the best of the worlds of the wild and the hills, this resort is an ideal jungle retreat for adventure and unwinding. The Stay Simple Bison Manor Resort, ranked amongst the top resorts in Nagarhole, boasts of its 9 spacious rooms equipped with all the modern amenities. Every room comes with a balcony overlooking the pristine greenery, wherein the guests could sit, gaze and contemplate for hours over a rich cup of coffee in hand. The rooms are either furnished with twin beds or a queen bed with extra mattresses and elegant furniture. Each of these rooms can comfortably accommodate two adults and two children. Poised as one of the best resorts in Nagarhole, The Bison promises to indulge you in a culinary voyage with the authentic tastes of Coorg served at its multi-cuisine restaurant. Also, make sure to ask for barbecue with the evening campfire in the resort’s lush green lawn. And if you are done with the campfire and are looking for something more, the resort’s indoor games like table tennis, snooker, carrom board and chess will keep you engaged. 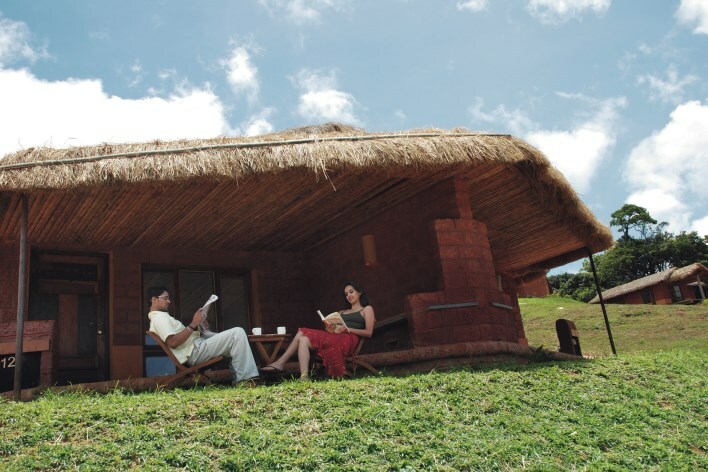 Staying at the Kabini Springs Resort would serve you a fine concoction of luxury and adventure on your platter. Experience tranquility under the sun and stimulating excitement as the sun goes down. Kabini Springs Resort is among the topline wildlife resorts in India serving luxury with an adequate drizzle of wilderness. The resort gets its name from the Kabini River, which snakes the resort into its serene coil. Rooms at the Kabini Springs Resort are spectacularly furnished with the choicest linens, upholstery, furniture and mood lighting. The resort lets out 20 well-appointed and fully air-conditioned cottages with contemporary amenities. Each cottage is benignly roomy, comfy and strategically sheltered for your ultimate privacy and intimacy. The breathtaking views from the cottages would seize to haze your memory even when you go back home. Regarded as one the finest resorts in Nagarhole, Kabini Springs has a fine dine restaurant at the – Tingling Spices Multi Cuisine Restaurant that serves delectable breakfast, lunch and dinner buffets along with A la Carte menu. For the ones who love the idea of dining amid nature, the restaurant also has an extended garden restaurant. The wine lovers can walk into the chic Spanish Bar, serving exotic wines, cocktails and mock tails. Besides, the resort houses a baiting swimming pool, a rejuvenating spa, and a modern conference room to meet the demands of the corporate guests. What more, you can fill up the leisure time at the resort with indoor games, campfire and bird-watching as well. There are many more resorts in Nagarhole. Where ever you choose to stay, you will get the best experience and will sure have a wonderful holiday you love to cherish forever.